So this morning I was off looking for source images to use for a Fark Photoshop I was working on. Though I did find several items that were of interest - like how a Star Trek communicator looks like a modern cell phone, and how iPads look like their 24th-century counterparts, what I found was more Star Wars. I couldn't help but stare at it for the longest time. 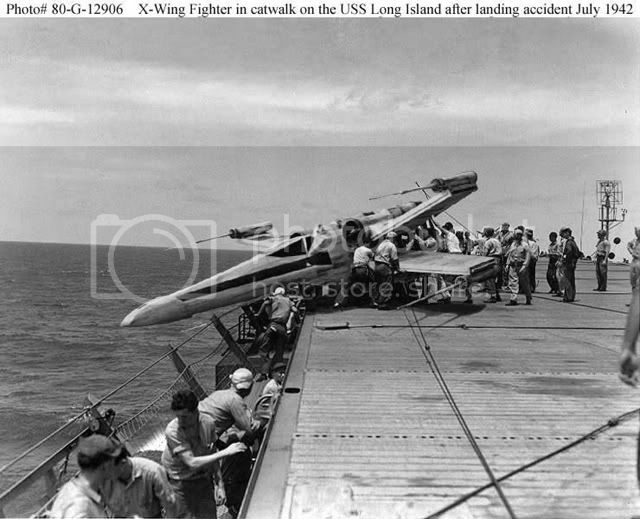 Yes, I've seen the original of the following image, but I'm pretty sure that the aircraft had a propeller and not some form of ion propulsion.